The boiling point is defined as the temperature at which the vapor pressure of a liquid is equal to the pressure of the atmosphere on the liquid. For pure compounds, the normal boiling point is defined as the boiling point at one standard atmosphere of pressure on the liquid. If the pressure on the liquid differs from one atmosphere, the boiling point observed for the compound differs from that estimated for the pure compound. molecular size become larger, boiling point become larger. These method need critical temperature ( Tc ) (critical pressure Pc ) information or need parachors. And can apply very limited compounds. 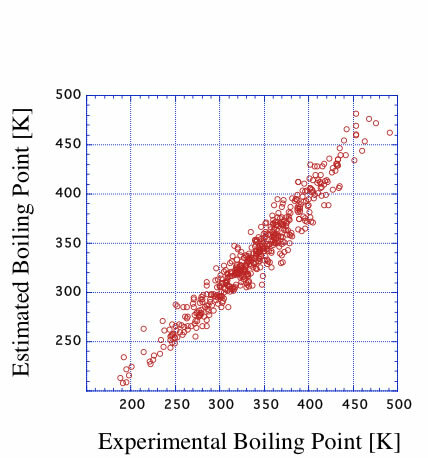 Boiling point is one of the most important thermal properties. Almost all other thermo chemical properties are predictable from boiling point and critical constants with using corresponding state theory. So precise forecast of boiling point is very needed. Impurities in the liquid, or mixed solvent boiling point will become different from normal boiling point. The basic method to estimate boiling point is Group Contibution (Additivity) method. This method determine each Functional group's (FG's) factor and make summation. For example, normal alkane compounds, the boiling point will increase 30.494K if CH2 group increase one. Joback determined these factors with statistically. (R) is for cyclic compound, (Phe) is for phenol. This method is very convenient but if FG is missing inside the table, we can not calculate. For example, Amide(C(=O)NH2) is not exist in the table. We can not calculate Amide with ketone(>C=O) and Amine(NH2).When we break molecule into FGs, the connectivity information will lose. For example, we know Amino Acids (RC(NH2)COOH) are always solid and always decompose before boiling point. But group contribution method answer just Amine (NH2) factor and Carboxyl (COOH) factor summation. And there is another problem. The above chart of normal alkane boiling point, the increasement of one CH2 group become smaller if molecule become large (exist non-lenearlity). Such effect can not count with this method. Joback and Reid(1987) proposed a group contribution method that gives an approximate value of the boiling point of aliphatic and aromatic hydrocarbons. (Please refer to Wiki page) The boiling point is estimated with the sum of contributions of all structural groups found in the molecule. 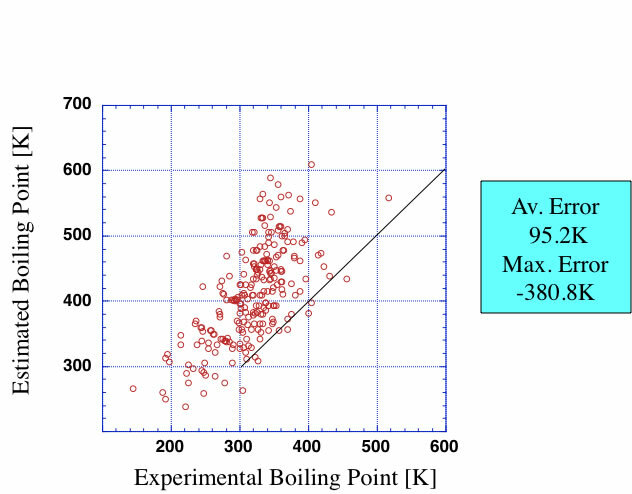 This equation tends to overestimate boiling point values in the temperature range above 500K. The following two polynomial relationships correct for this. It is said, using the appropriate polynomial correction, this model produces an average absolute error of 15.5K and an average absolute percent error of 3.2%. Pirika method is based on artificial Neural Network ( ANN ). NN method count nonlineality and FG's mutual interactions. Please try this java applet if you want to know the mechanism of NN learning. To get estimated BP, only you have to do is write molecular structure on the screen. This Pirika method is modified group contribution method, so it can not apply for not determined functional groups. JAVA applet automatically analyze that structure and return boiling point. Pirika method can apply for carbon number 2-12 compounds which neither have Aromatic ring nor have halogen atoms. HTML5 version can hadle Aromatic compounds and halogenated compounds. 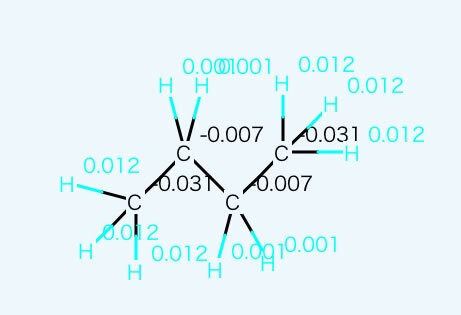 My Doctoral thema is computational design of altanative CFCs, so I am very interested in halogenated compounds properties. But in Joback table, there are only 4 type of halogen. 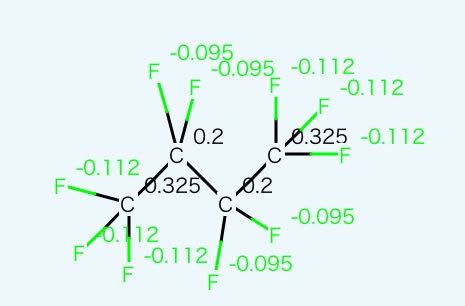 I check my database C3H3F5O, there are 5 compounds exist. The boiling point are so different. I calculated all the halogenated compounds with Joback method, average error become 95.2K. I defined several new functional groups and determined the factors. 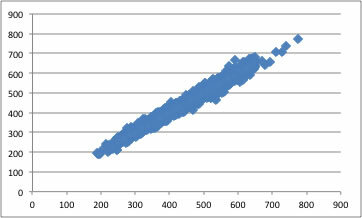 The overall (halogen + non halogen) estimation average error become 10.5K. Almost all "Modified Joback Method" do this way. If I use neural network (NN), accuracy become much high, but NN need a lot of data to learn. Append new data lead Append new Functional Groups, then need much more data. Finally I use 4855 compounds boiling point data and 167 functional groups for YMB-simulator. The accuracy is like below. I checked new applet performance with Volatile Organic Compounds(VOC). Neural Network result become much better. But NN have other problems. 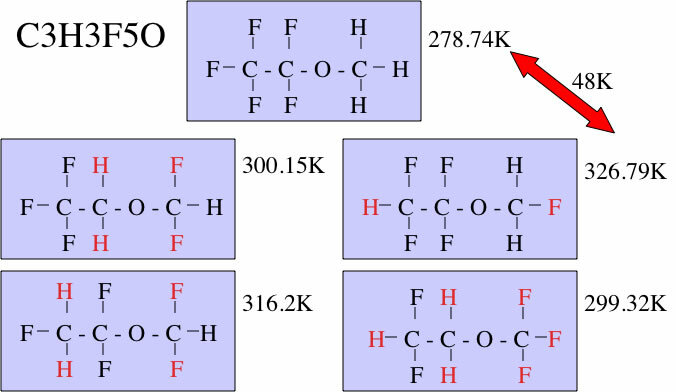 If I make C2H5 group factor from hydrocarbon, C2H5 functional group become very non-polar FG. And group factor become small. 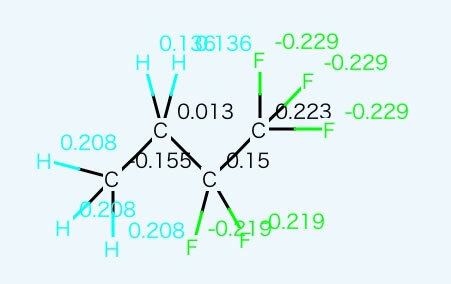 C4F10 molecule is also covered by fluorine atoms and group factor become much smaller. But conbination of these 2 functional group, I can find out very large polar nature with QEQ method. If I can use this information for boiling point estimation, the accuracy will increase. Now I try to build such scheme.